The SinoGuide / mod/smart Ultra Extreme Thermal Pad is a ready to use high end thermal pad. These are custom cut to a smaller, more applicable size. This line of thermal pads are much more effective than stock pads. With a 50.0 watt/mk thermal conductivity these pads will pull heat away from your important components with ease and allow for overclocking as well! SinoGuide pads can be used for a wide variety of applications including laptops, gaming consoles, voltage regulators, memory ICs and much more. Both sides have a protective plastic that can be peeled once ready to apply. Carbon fiber filled. It has outstanding thermal conductivity. High material stability and suitable for extreme environment. 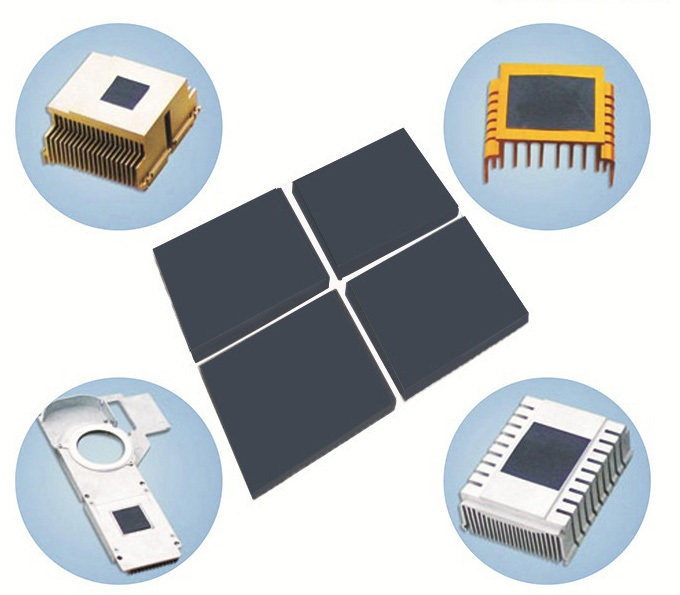 It si used between heat sink and heat generating components, fill voids and rugged surfaces. This product has a very high thermal conductivity. Please remove protective plastic from both sides prior to usage. The products, their specifications and other information appearing on this website are subject to change by AOK Thermal. AOK Thermal assumes no liability for errors that may appear in this document, and no liability otherwise arising from the application or use of the product or information contained herein. None of the information provided herein should be considered to be a representation of the fitness or suitability of the product for any particular application or as any other form of warranty.